Another misconception surrounds how the suggestopedia teaching method makes use of relaxation techniques. Baroque music for example is thought to be a part of suggestopedia. While pre-classical music playing in the background is one element of the teaching method, it is not the complete methodology as originally described by Georgi Lozanov. Some think of suggestopedia as a psychologically manipulative technique. This goes back to the idea that the teachers are somehow hypnotizing their students or using guided imagery, another technique sometimes used in psychiatry. Lozanov’s methods did not originally make use of any of those things, nor were his methods considered “super-learning” techniques. 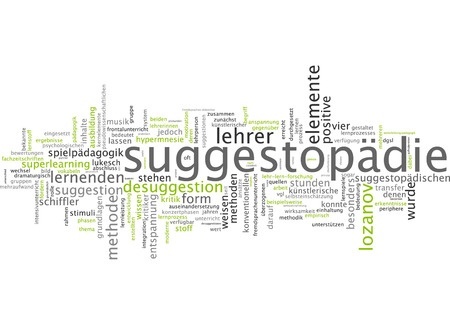 Suggestopedia is not neuro-linguistic programming, although some aspects of NLP may benefit some students. Much of the confusion surrounding suggestopedia arises from the fact that Georgi Lozanov was absent for 10 years. He was placed under house arrest by the communist authorities that controlled Bulgaria until 1989. He originally presented his educational theory of suggestopedia and his proposal for how the teaching method would be practiced to the United Nations Educational, Scientific and Cultural Organization in 1978. Shortly afterwards, the authorities decided he should no longer be a public figure. He was not freed until after the communist regime fell. At the time of this writing, he is residing in Austria. It is not clear whether or not his arrest was related to his presentation at the UN. It may have been a coincidence that he was confined to his home soon after returning to Bulgaria. Not much is known about the politics of Georgi Lozanov. We do know his intended purpose of suggestopedia.